Have you been looking for that affordable Riverfront Property??? Great Buy...Motivated Seller!!! 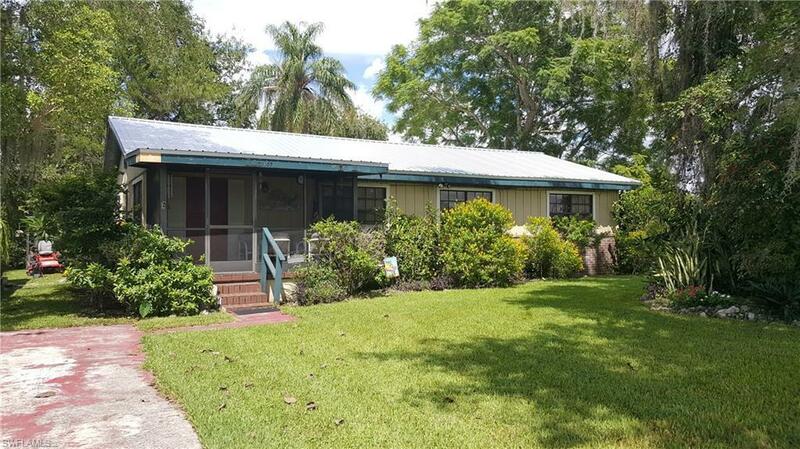 Located on quiet street in Ortona Community and located at entrance of Lock Lane. Home offers open floor plan with wood like laminate flooring and recently rebuilt back wooden deck! Enjoy the boat watching and afternoon sunsets from the front screened lanai. Situated on the Intracoastal Waterway with permit in place for new dock. New metal roof installed 2016. Home is priced to sell! Home has been a rental investment for many years and needs some TLC. Call to schedule an appointment today!! !